Iowa State University in Ames, Iowa is a public land-grant and space-grant research university that ranked 106th in U.S. News & World Report's 2015 list of the best national universities. Institutional grants or scholarships are given to 75% of full-time beginning undergraduates, with students receiving an average institutional award of $5,397. Incoming freshmen are eligible for merit-based scholarships, like the Academic Recognition Award, which provides $500 to $4,500 to students who rank in the top 15 to 25 percent of their high school graduating class. The George Washington Carver Tuition Scholarship is also available, providing 100 full-tuition scholarships to minority freshmen. Additionally, the university offers an institutional grant, known as the ISU Grant, which is awarded based upon financial need. University of Iowa sets low tuition for state residents. But Iowans and outsiders alike can get financial help - in fact, 80 percent do. The award to shoot for is the Presidential Scholarship, worth up to $74,000 over four years for residents ($80,000 for nonresidents) who are academic stars. Other awards, such as the Iowa Flagship Award and the Old Gold Scholarship, are given automatically to applicants who meet the minimum GPA and test score qualifications. These prizes can earn resident and nonresident enrollees anywhere from $2,500 to $10,000 a year. The Iowa Advantage Award, meanwhile, looks at not only merit but also financial need; students from underrepresented populations get priority. Enjoying a student-faculty ratio of 16:1, undergraduates of the University of Northern Iowa pursue their studies in a supportive and personal learning environment. Freshmen within the top 10 percent of their high school graduating class may qualify for the Presidential Scholar Award (20 awards of $8,000 each per year). The Bright Scholars of Iowa covers tuition& fees, room & board, and books. Admitted Iowa residents may qualify for the Ben and Pat Allen Scholarship ($4,000 per year). The College of Humanities, Arts and Sciences (CHAS) has STEM scholarships available, as well as art and music scholarships (all are up to $6,000 each per year). CHAS students may also be eligible for the Dean's Scholarships (up to $6,000 per year). For the 2015-2016 academic year, Grinnell College awarded $58.7 million in financial aid to its students. More than $50 million of this amount was in the form of gift aid, which does not have to be repaid. The average financial aid package for Grinnell College students is $44,205. The following merit-based scholarships are currently available: President's Scholarship ($50,000 per year), Dean's Scholarship ($25,000 per year), and the Founder's Scholarship ($10,000 per year). Ninety percent of students receive some type of financial assistance. National Merit finalists who list Grinnell College as their first-choice school and who enroll at the college are entitled to $2,000 per year, in addition to any other scholarships and/or grants for which they qualify. Established in 1966, Northwest Iowa Community College was the pilot project for Iowa's Community College system. Entering freshmen with outstanding academic credentials are considered for the following scholarship programs: President's Scholarship (full tuition), Foundation Scholarship (covers 50 percent of tuition), Trustees Scholarship ($500), and the Next Step Scholarship (varying amounts). Undergraduates with a demonstrable history of strong leadership may be considered for the Carl H. Rolf Scholarship for Leaders or the William G. Giddings Scholarship for Leaders. Both scholarship programs award $1,000 each. The Border State Student Scholarship supports students who reside in the states of Minnesota, Nebraska, and South Dakota and who wish to pursue post-secondary education at Northwest Iowa Community College. Scholarship recipients pay in-state tuition instead of out-of-state tuition. Choices for affordable Iowa colleges include big public schools, a smattering of private institutions and community colleges. If you’re trying to save money, remember that you always have the option to start at a community college and transfer after your sophomore year. State financial aid is respectable if you’re low-income—many grants & scholarships are purely need-based. However, there are good loan repayment programs available for health professionals and teachers who agree to work in Iowa. Iowa state institutions have a long history of strong voluntary articulation agreements, so students are likely to find that many, if not all, of their completed credits will transfer to a new program and institutions. Students may also be eligible for a reverse credit transfer, which grants students a degree, diploma, or certification from an Iowa community college for completed credits. Iowa’s Liaison Advisory Committee on Transfer Students offers a document, The Public Connection, which details the statewide articulation agreements offered between Iowa’s community colleges and universities. These agreements include associate’s degree agreements and a career and technical credit agreement. Under Iowa’s Associate of Arts Articulation Agreement and the Associate of Science Articulation Agreement, students who earn an associate of arts will have completed a standard set of required general education courses and electives. These courses will be acceptable for transfer to an Iowa public university, and students who satisfy the requirements of the agreement will be enrolled at junior level status with the four year institution. Students who have not yet completed an associate’s degree have options as well. Four year colleges and universities in Iowa will accept up to 16 semester hours of career and technical credit from students, assuming that the credit applies to an associate’s degree at the career or technical college where it was earned. These semester hours are accepted on a pass/fail basis. Learn more about how your credit will transfer to Iowa’s three regent universities on the Transfer in Iowa website. This resource offers links to transfer tools for major universities in the state of Iowa. The Iowa College Student Aid Commission (ICSAC) (a.k.a. Iowa College Aid) is responsible for administering state aid to Iowans. You’ll find all sorts of useful things on ICSAC’s website, including links to financial aid resources, videos on college planning, free guides and tips for Latino students and adult learners. ICSAC also has a list of state grants & scholarships and a number of federal and state loan repayment programs. To be eligible for most state aid, you’ll need to file your FAFSA. For certain programs, you may also have to complete the Iowa Financial Aid Application as well. But wait, there’s more… I Have a Plan Iowa! has detailed advice for all kinds of learners—from middle school through to high school and beyond. Users can create their own customized portfolio of college and career options, search for college scholarships, experiment with interactive financial aid tools and so on. Other recommended sites include Your Future Starts Here, an Iowa Department of Education program focused on helping residents achieve the High School Equivalency Diploma (HSED), and GEAR UP Iowa, a program that supports minority and low-income students from the 7th grade all the way to college. Summary: This grant is available to students who age out of Iowa’s foster care system or Iowa state training school or students who are adopted from Iowa foster care after the age of 16. Students are eligible to receive the grant until the age of 24. The maximum award is $9,010 per year. Grant money can be used for tuition & fees, books & supplies, room & board (including off-campus housing), transportation and personal living expenses. The grant webpage has more details about eligibility requirements and the application procedure. How to Apply: File your FAFSA and complete the Iowa Financial Aid Application. Summary: This grant is only available to students who age out of foster care and students who are adopted after the age of 16. Grants can be used for undergraduate or graduate study, but undergraduates get priority when awards are distributed. The maximum award is $5,000 per year. Grant money can be used for tuition & fees, room & board, books & supplies and living expenses. Eligibility: You must have aged out of foster care or have been legally adopted after the age of 16. The grant webpage has precise definitions and information about age requirements. How to Apply: File your FAFSA and complete the Iowa Financial Aid Application. If you’re a graduate student, you’ll also need to send information about your graduate program to the ETV coordinator. If you plan to attend an out-of-state college, you’ll need to fill out extra forms. Summary: This grant is awarded to Iowans attending certain Iowa barber and cosmetology colleges. Grant money is sent directly to colleges and the Financial Aid Office doles out the awards. Priority is given to first-year students with the greatest financial need. The maximum award is $1,200 per year. Summary: This grant is available to Iowans enrolled in an undergraduate program at an eligible private college or university in Iowa (i.e. an independent, non-profit institution of higher education). Priority is given to applicants with the greatest financial need. The maximum award is $6,000 per year, but amounts vary widely depending on funding and the number of grant recipients. Full-time students can receive funds for up to four years of study; part-time students may be eligible for adjusted amounts. Summary: This need-based grant is available to Iowans enrolled in a career or technical educational program at an Iowa community college. The maximum award is $1,200 per year for up to two years. Part-time students may be eligible for adjusted amounts. Summary: This need-based grant is available to Iowans enrolled in specific career or technical education programs at Iowa community colleges (e.g. nursing, IT, advanced manufacturing, construction, etc.). 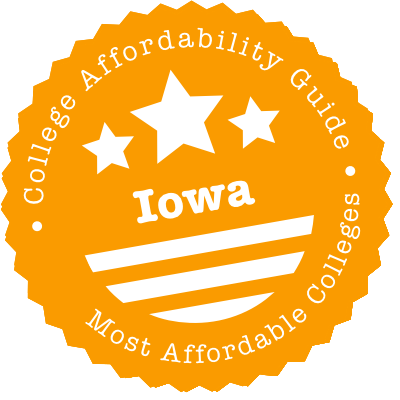 The maximum award is 1/2 of tuition & fees at an average Iowa community college for up to two years. Part-time students may be eligible for prorated amounts. Summary: This scholarship is available to low-income Iowans who have done well in high school and wish to attend an eligible Iowa college or university. Priority is given to applicants who have participated in certain federal TRIO programs or federal GEAR Up Grant programs and graduates of alternative high schools/high school programs. The maximum award is $8,118. The scholarship webpage has more details about eligibility requirements, renewals and disbursement options. Summary: This scholarship is available to Iowans who are part of the GEAR UP Iowa Program and wish to attend a Title IV college/university in Iowa or out-of-state. Scholarship money is sent to colleges/universities and the Financial Aid Office doles out the awards. The maximum award is $2,600 per year. Scholarship money can be used for tuition & fees, room & board, books & supplies and living expenses. The scholarship webpage has answers to FAQs and more details about eligibility requirements, Title IV definitions and renewals. How to Apply: If you are an Iowa resident, you only need to file a FAFSA. If you are a resident of any other state, you must complete a separate GEAR UP Iowa Scholarship Application. Summary: This scholarship is available to Iowa high school seniors who have actively participated in the Iowa State Fair. Scholarships are based on State Fair participation, financial need, extracurricular/community activities, community service and volunteerism, GPA and a personal essay. Up to ten scholarships are given annually. The maximum award is $5,000. This is a one-time award for the first year of college only and the scholarship amount cannot exceed a student’s financial need. How to Apply: File your FAFSA and complete the Iowa Financial Aid Application. You’ll also need to submit additional documents (e.g. personal essay). Summary: This scholarship is awarded to high-achieving Iowa students who demonstrate moral qualities. Scholarships are based on high school GPA, financial need, a personal essay and reference letters. Applicants can be high school seniors or students currently attending an Iowa college or university. How to Apply: Complete the Robert D. Blue Scholarship Application, available from ICSAC. Summary: This program provides loan repayments to registered nurses employed in Iowa and nurse educators teaching at eligible Iowa colleges and universities. Nurse educator applicants are given priority. The maximum annual award is 20% of the eligible federal student loan balance, including principal and interest, for up to five consecutive years. The program webpage has more details about eligibility requirements, award amounts, application procedures and selection criteria. You don’t have to be an Iowa resident to apply. How to Apply: Complete the Loan Forgiveness portion of the Iowa Financial Aid Application. ICSAC will verify your service with your employer. Summary: This program offers loan repayment assistance to Iowa educators who teach in an eligible shortage subject area (e.g. math, sciences, foreign language, ESL, etc.). The maximum annual award is 20% of the total eligible federal student loan balance, including principal and interest. Applicants may receive forgiveness for no more than five consecutive years. The loan forgiveness webpage has more details about eligibility criteria, award amounts, awarding priority and caveats. How to Apply: Complete the Iowa Financial Aid Application. ICSAC will verify that you have qualified teaching service by contacting your school’s administrator. Summary: This is a federally funded (but state administered) program that provides loan repayments to public prosecutors and defenders employed in the state of Iowa who agree to remain in their positions for 3 years. Award amounts vary depending on funding. 50% of awards go to public defenders; 50% to public prosecutors. The loan repayment webpage has more details about eligibility criteria, service agreements and important dates. How to Apply: Complete the John R. Justice Student Loan Repayment Program Application, available through ICSAC. Summary: This program provides loan repayments to Advanced Registered Nurse Practitioners and Physician Assistants who agree to practice in certain rural Iowa communities for at least five years. The maximum total award is $20,000. This is paid in five increments toward outstanding Federal Subsidized Stafford, Unsubsidized Stafford, Graduate PLUS and Perkins Loan balances at the end of each 12-month employment period. One year of service = up to $4,000. The loan repayment webpage has a fact sheet and more details about eligibility criteria. You don’t have to be an Iowa resident to apply, but Iowans are given priority for funding. How to Apply: Contact the Financial Aid Office at your choice of school for an application and program agreement. Summary: This program provides loan repayments to Doctors of Medicine (MDs) or Doctors of Osteopathy (DOs) who agree to practice in certain rural Iowa communities for at least five years. The maximum total award is $200,000. This is paid in five increments toward outstanding Federal Subsidized Stafford, Unsubsidized Stafford, Graduate PLUS and Perkins Loan balances at the end of each 12-month employment period. One year of service = up to $40,000. How to Apply: Contact the Financial Aid Office at your choice of medical college (i.e. Des Moines or University of Iowa) for an application and program agreement. Summary: TIS rewards high achieving Iowa teachers who teach in Iowa schools in designated shortage areas (e.g. math, sciences, foreign language, school counseling, etc.). The maximum annual award is $4,000 for up to five years. This award can be sent to a lender to pay back an outstanding federal student loan balance or sent to the recipient as a lump sum payment. The program webpage has more details about eligibility requirements, shortage areas and awarding priority. How to Apply: Complete the TIS Application, available through ICSAC. Summary: NGEAP provides tuition funding to Iowa National Guard members who pursue undergraduate or certificate programs at eligible Iowa colleges and universities. The maximum award pays 100% of the average resident tuition rate at Iowa Regent Universities (for no more than 120 semester hours or the equivalent). Students who already have a BA are not eligible to receive funding. How to Apply: Complete the Iowa Financial Aid Application. Summary: Education assistance is available to children of veterans who died before September 11, 2011 and children of veterans who died on or after September 11, 2011 as set forth in Chapters 35.8 and 35.9 of the Iowa Code. Dependents of veterans killed on/after September 11, 2001 are eligible for up to $11,844 per year in tuition assistance at an Iowa postsecondary institution. Dependents of those killed in action prior to September 11, 2001 are eligible for $600 per year with a maximum of $3,000. The DVA’s Benefits webpage has more details about veteran definitions and eligibility criteria. Children of post 9/11 veterans qualify up to the age of twenty-six. How to Apply: Complete the War Orphan Tuition Assistance Application, available through the DVA. Contact the Iowa Department of Veterans Affairs (DVA) for further info on both federal (e.g. GI Bill) and state education benefits for veterans. Summary: Need-based tuition assistance is available to students who wish to pursue short-term, non-credit certificate training programs for in-demand occupations. This funding is provided by the Iowa Department of Education. Award amounts vary depending on the size of the community college. Award money may cover tuition (partial or full), fees, books & equipment and direct training costs. How to Apply: Ask the Financial Aid Office at your choice of Iowa community college if it participates in the GAP program. If it does, the office will provide you with application materials. College can be tough on family finances. We list various ways to save money in our sections below, but we recognize that you may be dealing with multiple budget issues. One place to try is the state. The Iowa Department of Human Services (DHS) runs programs like Medicaid, food stamps, child care assistance and the Family Investment Program (FIP), otherwise known as Iowa’s Temporary Assistance to Needy Families (TANF) program. If you’re part of FIP, you’ll participate in PROMISE JOBS, which provides work and training services (e.g. high school completion, postsecondary education, etc.). Not eligible for state benefits or stuck on a waiting list? Call 2-1-1 or visit the website of 211 Iowa/Nebraska. Run by United Way, 211 is a free referral service that connects residents to community organizations and social service programs in their area. Looking for affordable child care? Worried about rent or utility bills? Homeless? 211 counselors can direct you to the right place. Your local Community Action Agency will have info on similar programs. If English is your second language or you’re new to the country, you may also want to check out Welcome to Iowa!. It’s a one-stop multilingual resource center, which links to many social services. Living in a dorm has its financial perks. You’re not paying for commuting costs, rooms are usually furnished, utilities are included and buildings are up-to-code (e.g. the plumbing works). However, campus housing is one of the places that schools love to jack up their prices. To get a sense of your housing budget, check the rates section of your university website. Then use online college budget calculators (e.g. MappingYourFuture.org and CalcXML.com) to compare on-campus costs (meal plans, dorm fees, etc.) with off-campus bills (rent, gas, utilities, etc.). Remember, too, that you might be required to live on campus. For instance, Grinnell College mandates that all full-time students (with some exceptions) live in student residences and use college dining services. Before you apply, find out if your university has a similar policy. Some students save money in later years by becoming Resident Advisors. If you’re worried about taking out student loans to cover costs, talk to your high school guidance counselor, your school’s residential life/housing coordinator and/or someone at the Financial Aid Office. You may be eligible for private & institutional scholarships and work-study programs. For example, recipients of UI’s George L. Droll Award can have up to $1,500 credited to room & board. ISU’s Charles O. Campbell-Madge Young Scholarship doles out $1,000 for spring semester bills. Community colleges and commuter schools often have limited campus housing. Iowa has more dorms than some states, but you still may find yourself looking at apartment rents (as well as heating bills, security deposits, renter’s insurance, gasoline prices, etc.) in your freshman year. To save money, you might consider sharing with multiple roommates, searching for apartment buildings that rent by the room, looking for options that aren’t right next to campus or going to a college where you can live at home and transfer your credits after your sophomore year. When it comes to choices, the off campus housing section of your university’s website can be helpful. Examples include ISU’s Rent Smart Ames, UI’s Off-Campus Housing Services and UNI’s Off Campus Student Resources. You can also try Craigslist & messageboards and websites that are focused on campus locations (e.g. CampusRent.com, MyApartmentMap.com, OffCampus.com, etc.). Homeless or facing eviction? Talk to your school’s housing/residential life advisor first. If your college can’t help, websites like HomelessShelterDirectory.org and www.shelterlistings.org have directories of shelters and transitional living options. HUD.gov also has a list of affordable housing resources for low-income Iowans. Every landlord has a different idea about who pays for what utilities, so it’s important to read your lease very carefully before you sign it. To get a sense of costs, you can ask your landlord or the individual utility company for a monthly estimate of bills. Or you can talk to former renters. Iowa’s utility costs generally fall below the national average, but winter can be hard on heating bills. If you need help with bill payments, you can seek help from the state (e.g. the LIHEAP program), your county or city (e.g. Iowa City’s Utility Discount Program) or even the utility company itself. Black Hills Energy, MidAmerican Energy, Alliant Energy—all these, and more, have discount programs for low-income residents. Your local Salvation Army post will also have information on non-profit utility assistance programs in your neighborhood. The first place to go for affordable medical care is your school’s student health center. These centers are funded by university fees, so you have every right to use them. Private colleges and big universities tend to have the most services. For instance, in addition to standards like immunizations, ISU’s Thielen Student Health Center provides x-rays, physical therapy and a 24/7 nurse hotline. Most centers now offer mental health counseling and referral services as well. UI even runs a Free Mental Health Clinic (FMHC) for patients who are on the Community Mental Health Center for Mid-Eastern Iowa (CMHC) waitlist. If you have trouble getting the care you need at school, you can try your community. Free Clinics of Iowa has 30+ free clinic members in both rural and urban setting. Some of these clinics will also provide mental health care. If they don’t, see what your county has on offer. For example, Mental Health America (MHA) of Dubuque County has a directory of local mental health services. The Iowa Help Line is 1-855-800-1239 and the national Mental Health Crisis/Suicide hotline is 1-800-273-8255. Cheap dental care can be trickier to source. Iowa’s I-Smile Dental Home Initiative covers kids, but adults don’t always have the same resources. Ask your community action agency, community health center or your student health center for referrals to low-cost dentists. Another option is to see if you live near a school of dentistry or school of dental hygiene. For instance, UI’s College of Dentistry in Iowa City offers reduced fees to patients of student dentists. UI, UNI, ISU, UD and a lengthy list of Iowa community colleges have daycare facilities on campus. Competition for spots can be fierce, so it’s worth applying as early as you can. While you’re there, ask if your college provides any discounts to low-income families. For example, UI has a Child Care Subsidy Program, open to both undergraduates and graduates. Nothing at your choice of college? You may be eligible for state benefits—a.k.a. the Child Care Assistance (CCA) program—or scholarships and subsidies from your county. For instance, Scott County Kids has an Early Childhood Iowa Childcare Scholarship for residents who are ineligible for CCA benefits. If you need assistance finding a cheap provider, Iowa Child Care Resource & Referral (CCR&R) provides an online directory and a free hotline (1-877-216-8481) where you can talk to a parent specialist about your challenges. The DHS provides a Child Care Provider Search and college daycare centers will be able to refer to providers near campus. Commuting costs are going to depend on your location (e.g. rural vs. urban), the type of university you attend and your other commitments. If you’re working multiple jobs, living at home or taking care of kids, your car may be your lifeline. Having said that, we still recommend a visit to the transportation section of your university’s website. This will have information on campus shuttle schedules, rideshares, carpools, parking discounts, bike programs, car rentals—the works. Just to take one example, ISU students favor their free CyRide bus system (and the Moonlight Express), which goes around campus and to Ames City. What’s more, this section will have details about local transit discounts. For instance, UI students who participate in the U-PASS program get unlimited rides on Iowa City Transit or Coralville Transit. National carriers like Amtrak, Greyhound and Jefferson Lines also offer everyday discounts (usually around 15%) to students with a valid college ID. In response to the hunger crisis, ISU, IHCC and UI have created food pantries on campus. UI also participates in the Free Food Finder, which helps students find campus events offering free food. Talk to the Financial Aid Office if you’re struggling. There may be ways to reduce your meal plan costs, receive leftover food from dining services or get a job in the kitchens. Or you can try your community. Iowa’s food stamp program is called Food Assistance, but the DHS also runs SHARE, which provides cheap groceries in return for volunteer service, the WIC program for pregnant women and new mothers and free nutrition education programs. If you’re ineligible for state benefits, you can visit a food bank. Food Bank of Iowa has a list of food pantries and banks organized by county. Students who are thinking of Drake University or DMACC should be pleased to hear that Des Moines is not only the largest city in Iowa, it’s also fairly affordable. According to Sperling’s Best Places, the overall cost of living is below the national average, rents are reasonable and there’s a fair amount of subsidized housing. Public transit is provided by DART buses, which are free for Drake students but get mixed reviews from riders. However, the city has plenty of cheap eats, great parks, proximity to lakes and, yes—the State Fair. Getting to college takes grit, money and support from your community. We’ve listed a few Des Moines organizations that are designed to help residents get into college, but there are plenty more out there! Des Moines Area Community College (DMACC) has a long list of local, state & national college scholarships with descriptions of eligibility criteria. You may also wish to see if you qualify for any scholarships administered by the Community Foundation of Greater Des Moines (CFGDM). For example, the Mary E. Wood Scholarship Fund and the Larry W. Carter Scholarship Fund are open to African-American students seeking higher education. The United Way of Central Iowa (UWCI) works with community organizations on a variety of higher education & training initiatives, including Bridges to Success, Building New Careers and the HOPE Initiative for single parent families. You can also ask UWCI to refer you to other local groups focused on college preparation. Urban Dreams has a Gateway To College program that offers a “second chance” to high school dropouts (ages 16-21), and students on the verge of dropping out, to get a high school diploma while also earning college credits. DMACC has a similar G2C program on its campus. Community Youth Concepts (CYC) has a large number of youth programs for Des Moines residents, including a Career Connect program that provides 6th-12th graders with college visits, tours of local employers, job readiness workshops and volunteer service projects. NAACP Des Moines runs an annual College Prep Day at a city location. Parents and students in grades 9-12 are welcome to attend. Need help with a specific income-related challenge? Central Iowans can dial 2-1-1 for advice on any matter regarding social services. The City of Des Moines has further info on services like low-income housing assistance, public transport and recreation centers. Cedar Rapids is the most expensive city on our list of three, but the overall cost of living is still below the national average. Housing is generally affordable, though most Coe University students stick to campus dorms. Buses are run by Cedar Rapids Transit; students often drive or get a ride to Iowa City for university-related activities. If you want to get some fresh air, there are free jogging and biking trails along the river. Already live in Cedar Rapids? You can find scholarship money and training programs in a variety of local spots. We’ve listed a few, but your high school counselor and KCC will be able to refer you to more. The Greater Cedar Rapids Community Foundation (GCRCF) awards more than $100,000 in college scholarships to students in eastern Iowa each year. In some cases, you apply through your high school; in other cases, you use the GCRCF’s General Application. See the scholarship section for details. Kirkwood Community College (KCC) runs a Workplace Learning Connection (WLC) program that connects K-12 students to career resources and work-based learning experiences. This includes internships, job shadowing and school-based events. KCC also operates Creating Futures, which provides supportive services for youth ages 16-24 to finish high school, go to college and/or find employment. The Cedar Rapids IowaWORKS Center in the Lindale Mall provides access to affordable training & education resources and work-based learning opportunities to in-school and out-school youth, adult learners and low-income residents. Need help with a specific income-related challenge? Call 2-1-1, 319-739-4211 or 1-866-469-2211 to talk to an Iowan about your needs. The City of Cedar Rapids has further info on services like housing, city buses and utilities. Davenport is home to SAU, a bustling riverfront/downtown and some pretty affordable housing & utility costs. Davenport CitiBus is in charge of public transit and SAU students can ride its buses for free. It’s not a big place, so getting around by bike is possible in the summer months. The Quad Cities area boasts plenty of cheap entertainment, including some great music events, and you’ll always have access to free trails along—and boating activities on—the Mississippi River. If you live in Davenport, you’ll find that there are lots of organizations devoted to helping you get to college. We’ve highlighted a few, but United Way Quad Cities (UWQC) and/or your high school counselor can refer you to more. The Community Foundation of Great River Bend (CFGRB) has 35+ local college scholarship applications available on its website. You can apply through the online scholarship system. Quad City (QC) United is a volunteer-driven organization that is designed to help urban youth in the Quad Cities achieve their higher education dreams. Special attention is given to the educational needs of the underserved and low-income students. Its World of Work program includes a free one-day symposium with a college & career fair as well as six yearly scholarships. YouthBuild Quad Cities provides a range of services to at-risk youth ages 16-24, including education (e.g. help with the GED), job training, counseling and job placement. United Neighbors, Inc. is a grassroots social service agency in Davenport serving local residents. Initiatives include crisis prevention, a housing program, multicultural health and a free after-school program with tutoring and homework help. Need help with a specific income-related challenge? UWQC has a list of partner programs/agencies on its website or you can call 2-1-1. The City of Davenport has more general info for residents, including bike routes in the Quad Cities metro area, phone numbers for local utility companies and so on.